A couple of people asked me how/why I attempted this recipe. It was like this: ricotta was on sale. I bought some, even though I’d never used it before (that’s right. EVER.). Blackberries were also on sale. 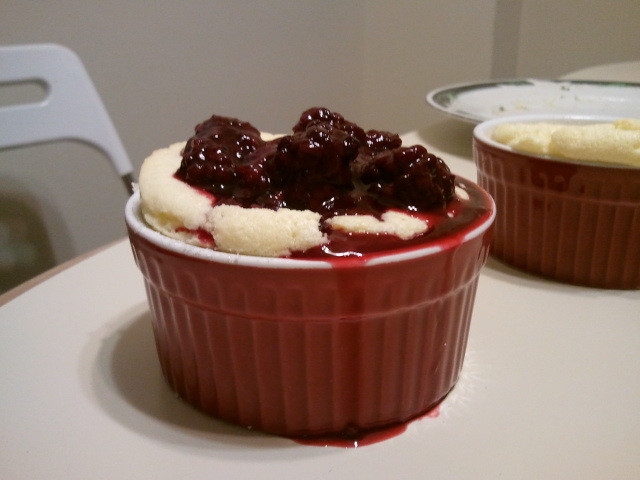 I googled “blackberry ricotta recipe.” This epicurious gem came up on the first page of results, and the accompanying picture looked delicious. Also: my friend Katie gave me ramekins for my birthday in December, and I hadn’t used them yet. Yes, that highly scientific process is how I usually make baking decisions, thanks for asking. Brace yourselves for awesome. Whisk 3/4 cup sugar, cornstarch, and flour in large bowl. Add egg yolks and lemon peel; whisk to blend. Bring milk just to simmer in small saucepan over medium-high heat. 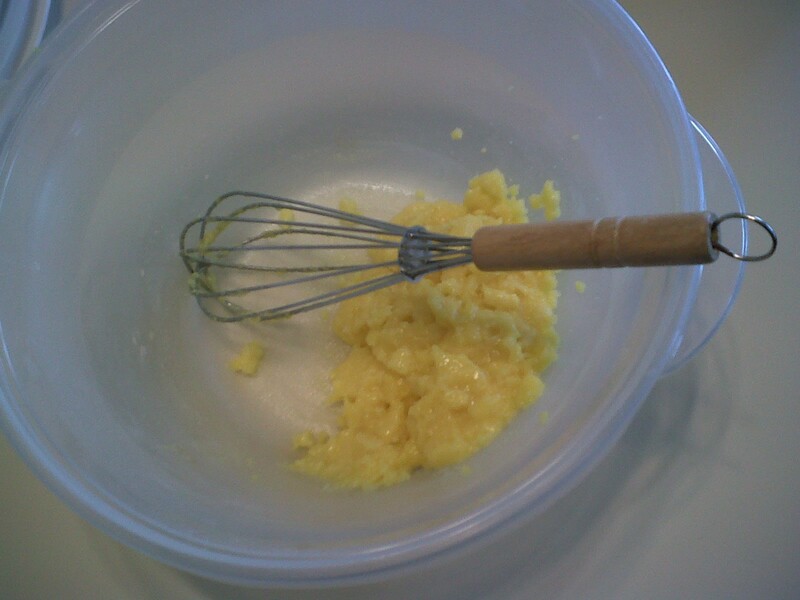 Gradually whisk hot milk into yolk mixture. Return mixture to same saucepan and bring to boil over medium heat, whisking constantly. Boil 1 minute, whisking constantly (pastry cream will be thick). Spread pastry cream out to 1/3-inch thickness on small rimmed baking sheet. Cover completely with plastic wrap. Cool to room temperature. 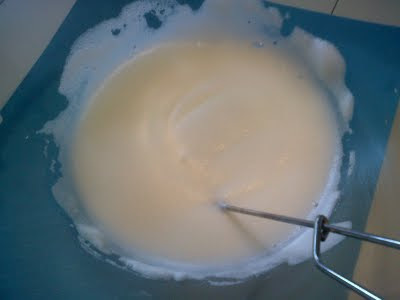 Transfer pastry cream to medium bowl. Whisk in ricotta. Cover and chill until cold, about 1 hour. Bring blackberries, vermouth (apple juice! ), lemon juice, and 1/4 cup sugar to boil in small saucepan, crushing some berries and stirring to dissolve sugar. Reduce heat to medium-low; simmer until mixture thickens, about 8 (10-12 with apple juice) minutes. Transfer blackberry compote to small bowl, cover with plastic wrap, and chill. 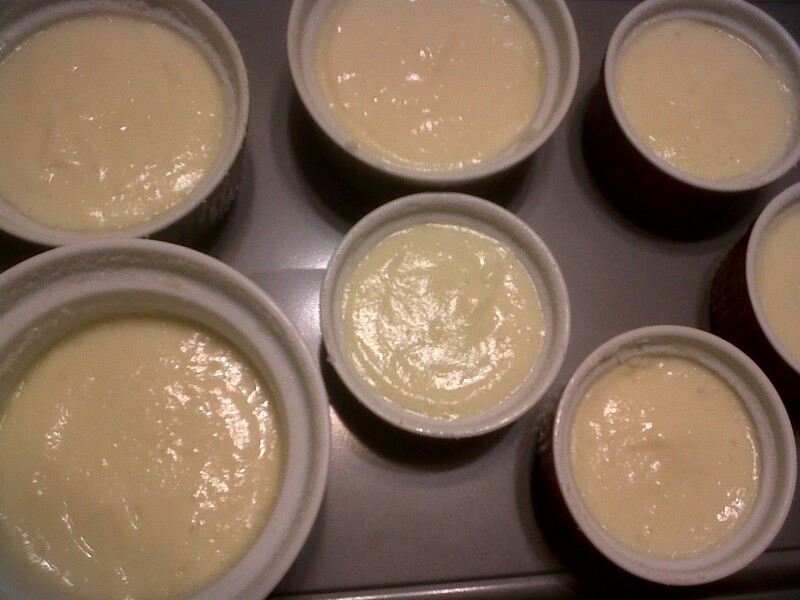 Butter six 1/2-cup ramekins; coat with sugar, tapping out any excess. Using electric mixer**, beat egg whites in large bowl until soft peaks form. Gradually beat in remaining 6 tablespoons sugar; continue beating until stiff but not dry. Fold egg whites into ricotta mixture. Spoon batter into ramekins; smooth tops. Run thumb 1/4 inch deep around inside edge of each soufflé dish to wipe clean. Can be made 4 hours ahead. Cover and chill. Preheat oven to 350°F. Bake soufflés until puffed and golden at edges, about 28 minutes (about 32 minutes if chilled). 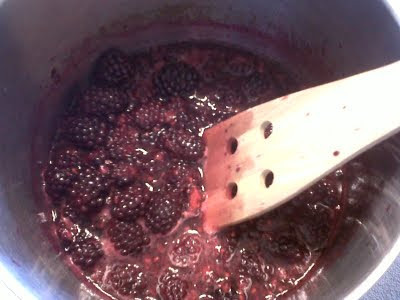 Serve immediately with blackberry compote. NOTE #1: I used four 1/2-cup ramekins and three 1-cup ramekins, all filled generously – so if you follow the directions you may end up with superfluous soufflé mixture. NOTE #2: Don’t jostle or set the soufflé dishes down hard – it will make them fall. Gentle touches for your lovely desserts. I learned that the hard way. I had never attempted soufflés before. I also did not own a hand mixer OR a stand mixer. 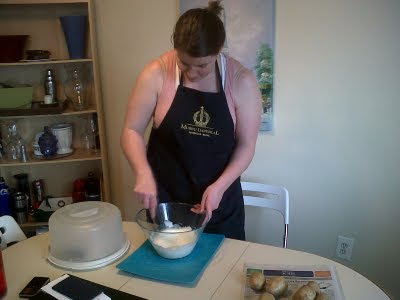 I had my own two hands and a rather feeble whisk. It was…rather torturous. First mistake: I did not understand what the recipe meant when it referred to ‘stiff peaks,’ so I image searched the term. When I saw photos, then looked back to my little bowl of egg whites, I almost had a heart attack. After THIRTY MINUTES of whisking, my hands had nearly given out. Luckily my roommate stepped in for a couple of minutes for key relief whisking. My advice for all time: DO NOT ATTEMPT without an electric mixer. Just…don’t. Later that evening I had trouble holding a fork. I am completely serious. With all that said, this recipe is easily the most delicious thing I have ever baked. I was very, very proud of all that work, and it paid off. Those soufflés were delicious and gorgeous, and afforded me the chance to throw a party to celebrate the process. They were light and fluffy, and the sweet fruit compote contrasted beautifully with the texture. I will definitely make them again. Especially now that I own a nifty immersion blender. I see my baking future becoming much more enjoyable. Recommended for: an afternoon when you are feeling adventurous and have time to kill, an impressive dessert that will awe your guests, and a delicious and complex sweet to add to your baking repertoire. *To say the very LEAST. My hands hurt just thinking about it. Also, I failed to secure the egg whites in between steps, so I had an egg white disaster area in my refrigerator in the middle of the whole experience. Cusses may have been said. Unavoidable, really. **When they say electric mixer, they mean it. See story above for clarification. Do not be foolhardy! I love baking like this - just random! This looks fantastic! Those look delicious, but so much work.